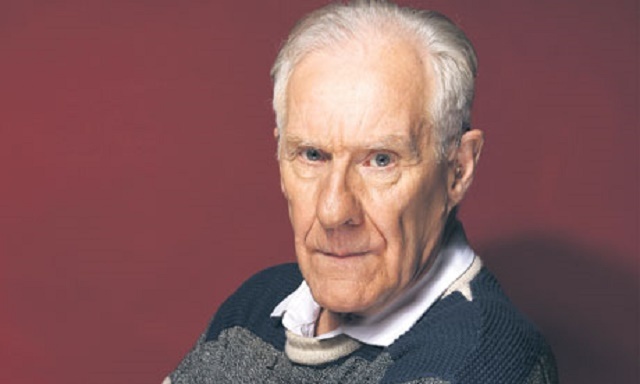 In this seventh of his ten-part series on Alain Badiou, Andrew Robinson explores what happens after the Event and its unfolding, and examines a number of possible pitfalls with Badiou's theory. Do actual revolutions unfold in the way which Badiou models? And can Badiou deal with Event-like processes with reactionary consequences? In the previous three instalments, Andrew Robinson explored Badiou’s concept of the Event. In this essay, he explores what happens after the Event and its unfolding. How do Events fit into a wider historical progress? Do Events necessarily end up recuperated in a new State? The essay also explores certain possible pitfalls with Badiou’s theory. Do actual revolutions unfold in the way which Badiou models, or do they bear a more fundamental relationship to the qualitative? And can Badiou deal with Event-like processes with reactionary consequences? In earlier works, Badiou gives an impression of normal periods of inertia, contrasting with Evental moments. His recent theory qualifies this view. The slow process of unfolding of Truths is always happening. The periods between Events are not, therefore, periods of stagnation. Badiou sometimes suggests that the unfolding of interventions is always unfinished. However, the process changes over time. As interventions proceed, a new language or ‘subject-idiom’ comes into being. This language creates new names which relate to the future situation in which the unfolding of the Event will have been realised. For example, Marxism includes a whole series of terms for capitalist and socialist social relations which are useful within this framework – terms such as socialisation of the means of production, workers’ militia, workers’ control and so on. According to Badiou, such a terminology constitutes a counter-state. It fills the role of the state of the situation while opposing the dominant state of the situation. Eventually, the counter-state becomes a new state. After a generic procedure, the subject of an Event comes to appear simply as an element in the post-evental situation. It is now included in the new situation. The long-term implications of Events seem to be cumulative. Badiou refers to them as a ‘succession’, or sequence. Social change is an endless process of supplementation of the social structure, as new elements are unfolded and ‘forced’. Although change proceeds by way of subtraction, its ultimate direction seems to be additive. “Periodization” into different periods is possible because each Event is distinct. In a sense, different Events occur in a sequence. They are irreversible. Even though they aren’t logically connected, they follow from each other. In Logic of Worlds, Badiou portrays Events as having ‘consequences’ and leaving ‘traces’ in the world. There are still marks within social reality of past Events and their unfolding, however far they have become part of the dominant regime. In Theory of the Subject, it is suggested that an Event must already have happened to generate a situation. This seems to lead to a problem of infinite regress. It also implies that all states (political and of-the-situation) are outcomes of fidelity to some earlier truth-procedure – the democratic revolution generates the bourgeois state, the communist revolution generates the Stalinist state, and so on. Badiou drops this assumption in his more recent works. Despite these forms of periodisation, Badiou does not see Events as a teleological progressive evolution of history in any simple sense. It is problematic to talk about historical progress in Badiou’s theory, because there is no ‘set of all sets’. It is not possible to adopt a standpoint from which Events can be judged as cumulatively progressive. Nevertheless, the structure of ‘forcing’ seems to suggest that there is a direction of movement which is fundamental Events. They always add to the situation in the long-term, better actualising goals such as equality (see below). In this sense, they are progressive. Feltham suggests that Badiou’s theory is always split between three ways of viewing the Event. The “Eagle” sees the Event in terms of a sudden occurrence which is creatio ex nihilo – the Event occurs out of nothing. The “old mole” sees the Event as a steady process of unfolding of consequences and interventions. The “owl” looks on Events as a philosopher, and sees that, in the long term, they are inevitable and recurring. Sooner or later, every regime will be destroyed. Events are guaranteed to happen. Badiou’s work oscillates between the three ways of seeing. One of the reasons Badiou’s theory is so appealing is that the experience of something like an Event is quite recognisable. In moments of revolution, people experience things which can’t be made sense of in the dominant terms. They catch a glimpse of something beyond constructivism – beyond a reality reducible to already-constructed discourses. And they often feel in the middle of a process of change. Badiou has unfolded from this momentary experience an entire ethical orientation. Feldman suggests that Badiou provides a new answer to the virtue-ethical question ‘What is the good life?’. Badiou argues that the good life entails following a truth-procedure. This role as a ‘subject’ entails an escape from a ‘merely human’ existence onto a higher plane. There is a kind of rejection or transcendence of death and finitude in Badiousian politics. In other words, Badiou elevates the experience of an Event into an almost religious experience. Badiousians generally claim to be upholding the possibility of the genuinely new. They contrast themselves with other approaches which only see the new as an extension of existing forces. However, the Badiousian new seems to come from a predetermined structural site. Nobody actually seems to create something new with an Event. Newness seems always to be an effect of unfolding something which is already present as a void in the situation. This downplays the novelty of the construction of new discourses to promote, for instance, gender equality. And, in addition, the “radically new” ultimately reproduces the same axiomatic structure as the present situation – with the terms reshuffled. The subtraction of the qualitative has real effects in Badiou’s theory of the Event. In particular, Badiou ignores the fact that revolutions also arise from elements within the prior situation. He admits that this happens with regard to the excluded part, but revolutions also often involve included but subordinate groups who are more definitely parts of the situation. Furthermore, it is not clear that revolutions ever reach the point where they become subtracted entirely from particularities. There were always workers and peasants in Russia for example, with their own demands and goals – “land, bread and peace”, workers’ control in the factories, land reform, and so on. Momentary revolts can sweep people along in a feeling of euphoria and empowerment, or an anger which overrides fear. But this experience supplements, rather than replacing, their particular grievances and visions. Very often, the visions which emerge in moments of revolution are already nascently present in everyday discourse, in the forms described as ‘hidden transcripts’ by Scott and ‘good sense’ by Gramsci. The Maoist movement, for instance, drew on elements of peasant revolt which were already operative in China, as Mao’s Hunan Report makes clear. Maoism didn’t just come along and create (or slowly unfold) an Event out of nowhere. The forcing of consequences of an Event is broadly equivalent to what Deleuze and Guattari term addition of axioms. Crucially, this concept is not identical to revolutionary change in Deleuzian theory. Rather, it is roughly equivalent to recuperation (though also with positive connotations: the real goal is to escape the axiomatic, but addition is better than subtraction). In other words, Badiou has provided a theory in which the most revolutionary gesture possible is identical to the Deleuzian view of recuperation. The more revolutionary passage to ‘absolute deterritorialisation’ and a post-signifying world is treated as impossible. Another problem is that Badiou does not seem to deal with subtraction of axioms. He portrays a series of unfolding Events which are resisted or captured by the state of the situation. But he does not engage with, for instance, the processes through which units within the multiple may be removed from the structure. This can occur when an entire group is wiped out – such as the genocide of many Native American peoples. Or it can occur when a group is effectively de-recognised by the structure – as with the effects of the neoliberal backlash, the withdrawal of workers’ rights, the retrenchment of the welfare state, the restriction of migration rights and so on. Badiou treats such occurrences either in terms of the wrong kinds of fidelity (reaction or obscurance of an Event), or as effects of the state of the situation seeking to repress some still-excluded part. He does not seem to see the reversibility of Events – the possibility of the system cutting-off axioms which have already been added and ‘forced’. Another tension is that Badiou claims that Events cannot be justified and grounded, yet at the same time, he provides criteria for recognising and (in the case of undocumented migrants) even predicting them. Badiou denies that he posits any kind of categorical imperative to become a subject of an Event. He maintains that moral duties, and definitions of good and evil, are always relative to a Truth. Yet he also offers general models of what Events look like. He even specifies universal goods in each of the four spheres of truth-procedures – equality in politics, free thought and exact knowledge in science, and so on. He also consistently assumes that Events are good. In fact, his ethical theory is based on this assumption: fidelity is better than obscurance, denial, and so on. In other words, Badiou manages to provide the very foundations he says are impossible! In many ways Badiou has to provide such criteria, since otherwise it would be impossible to distinguish between true Events (like the Russian Revolution) and false Events (like the Nazi seizure of power). If an Event is defined as a rupture or decision grounded only in itself, then all kinds of reactionary movements would be Events (more on this later). Badiou gets around this problem largely by appealing to the Evental site, the excluded part from which a true Event must emerge. This is, strictly speaking, a formal rather than a substantial claim. But it renders rather empty the claim that Events are self-referential and ungrounded. A related problem Badiou doesn’t seem to deal with is the “backwards” Event – an event-like process which subtracts (rather than adds) axioms to the social field. For instance, neoliberalism has many Event-like features – it redefines entire swathes of society in new ways, and “forces” the creation of new languages to discuss personality-types, knowledge production and so on. We could see the forms of New Public Management, the gradual roll-out of privatisation and repressive measures, and the spread of neoliberalism worldwide as a kind of reverse ‘truth-procedure’ which draws out the consequences of the neoliberal decision in different spheres – ultimately producing effects which critics as early as the 1970s could already predict. One could even look at the globalisation debates of the 1990s and see here a typically Evental dispute as to whether globalisation is really a new Event, or simply a continuation of the situation – indeed, whether the name “globalisation” should even be recognised. Feltham suggests that the difference is that nothing has to be invented in a neoliberal revolution. The new subject, capital, is already waiting in the wings. In other words, it is by reference to the excluded part that the neoliberal (counter-)revolution is disqualified. Nevertheless, the neoliberal (counter-)revolution happened. It suggests that false Events, as well as true Events, structure the actual movement of history. However, this still leaves a lot of grey areas in terms of recognising genuine Events. I remain suspicious that Badiou has an implicit progressivist teleology behind his model of Events, which is why they always seem to go “forward”. How can we be sure that the Cantor Event, for example, is a true Event rather than a recuperation? What if maths was to turn New Age tomorrow, based on fidelity to the exclusion of the qualitative from maths? Would this be an Event? And would Cantor still have been an Event in retrospect? Badiou would presumably want to defend the continuity of contemporary maths, and to frame any deviation from this approach as an anti-modern reaction. But how, then, can he distinguish such a process in maths from the rise of modern art, which similarly ruptured formal aesthetic standards? I think a Badiousian is left ultimately with a choice between two options. S/he can claim that, because the Event is grounded only in itself, therefore it is undecidable whether something is an Event or not. Or s/he can claim that there is some underlying process of observable progress which determines what is, or is not, an Event. For the rest of the essays in this series, visit the In Theory page. Andrew Robinson is a political theorist and activist based in the UK. His book Power, Resistance and Conflict in the Contemporary World: Social Movements, Networks and Hierarchies (co-authored with Athina Karatzogianni) was published in Sep 2009 by Routledge. His 'In Theory' column appears every other Friday.